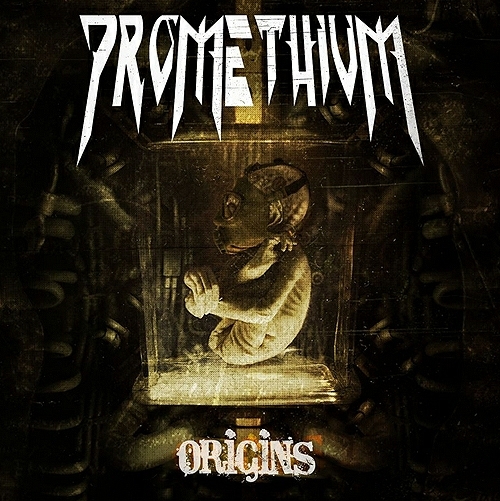 This is Lancaster-based Promethium‘s second album, titled Origins. This is a ten-track rock and roll album which ventures in to both metal and acoustic ballad territory. It’s fairly even-tempered, with most songs bearing different nuances of hard rock flavor. While crisp and modern, the mix is very vocal-forward or vocalist-centric, so if you are a fan of Gary’s ‘plain rock & roll’ type singing, you’re going to adore this record. The harmony guitar parts and breaks are a wonderful studio touch. Most of the songs are motivatingly uptempo, with no lag or languish; “Rain” and “Origins” are much more emotive.